Home › Activities › W2ZQ goes down under! Each year in late December, the Delaware Valley Radio Association (callsign W2ZQ) operates two special event stations W2T and W2P to commemorate two historic, local battles from 1776 and 1777 considered a turning point in the US Revolutionary War: The Battle of Trenton and The Battle of Princeton. These two events are largely of interest to amateur radio operators in the United States, and we do our best to aim our 100-foot tall antenna beam to the southwest United States. 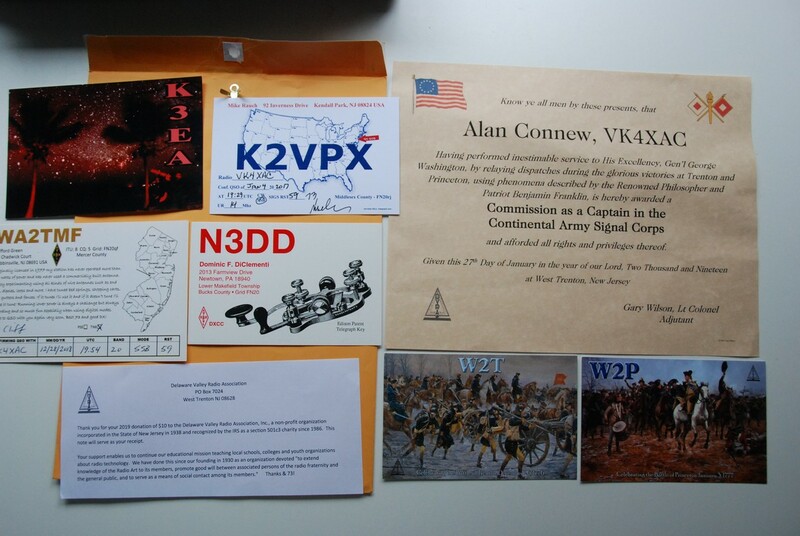 But band conditions this year were favorable, and as such, the DVRA is pleased to grant a Commission as a Captain in the Continental Army Signal Corps to a (presumed now-former) subject of the crown — Alan Connew, VK4XAC, from Dalveen, Queensland, Australia. The enjoyment of amateur radio comes from the friendships we make across the globe. Our club members Greg K3EA, Mike K2VPX, Cliff WA2TMF, and Dom N3DD each had an opportunity to ragchew with Alan, VK4XAC during the special events. We wish to thank Alan for supporting the Delaware Valley Radio Association through these special events to help us in our mission of promoting the amateur radio hobby. 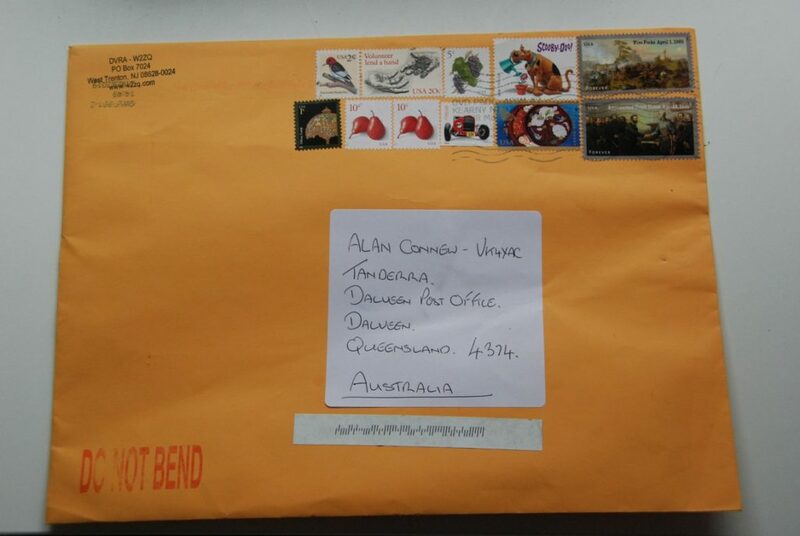 Special delivery by the Delaware Valley Radio Association, W2ZQ, to Dalveen, Queensland, Australia. Photo credit Alan Connew, VK4XAC.